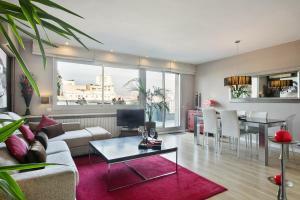 Located in the heart of Barcelona, this air-conditioned apartment is 400 metres from Portal de l'Angel. 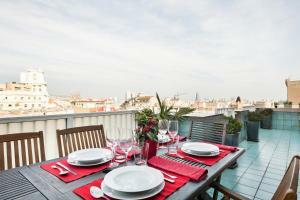 The apartment offers a private furnished terrace with city views and free WiFi. 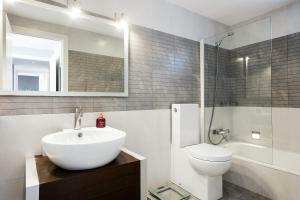 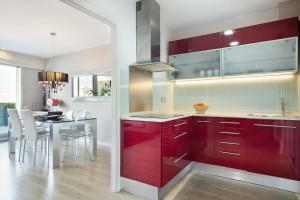 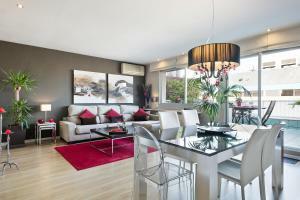 This elegant apartment comes with heating, 3 bedrooms and 2 bathrooms. 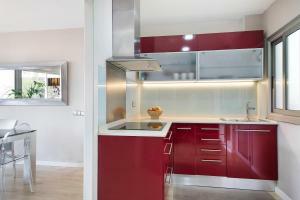 The kitchen is equipped with a microwave, a toaster and a refrigerator. 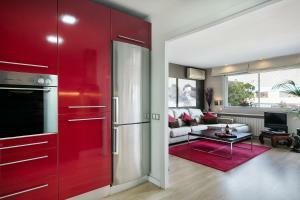 A flat-screen TV with cable channels is available in the living room. 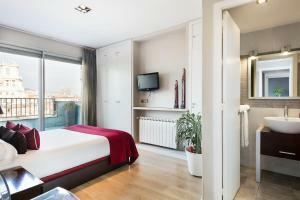 Plaça Catalunya is 500 metres from Elegant Apartment Olle, while La Seu, Cathedral of Barcelona is 600 metres from the property. 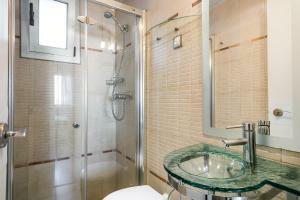 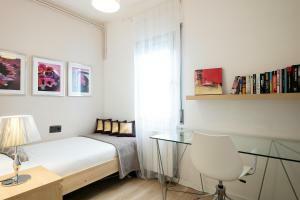 The nearest airport is Barcelona El Prat Airport, 13 km from Elegant Apartment Olle. 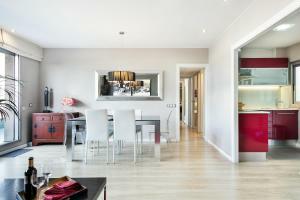 This apartment has a toaster, dining area and private entrance.